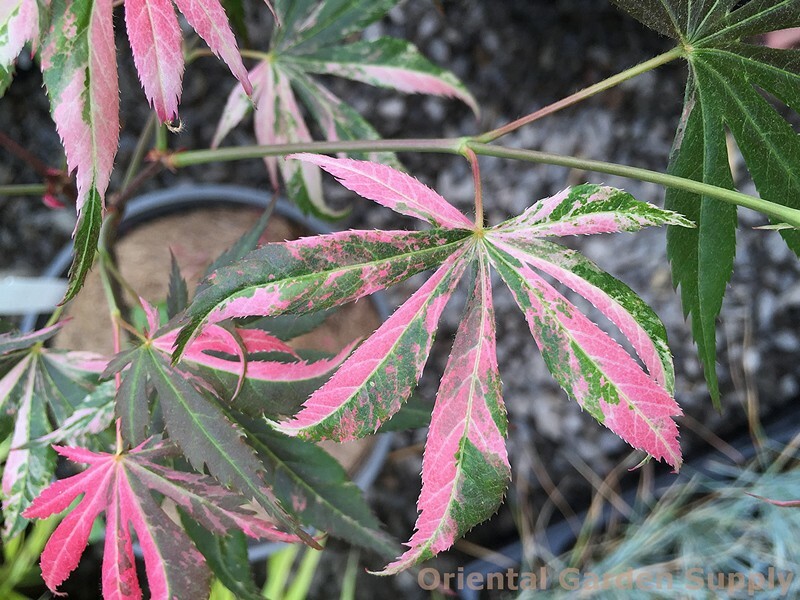 Product Information : Exceptional color on this variegated small upright maple. Leaves are dark purple splashed with bright pink. Extent of variegation varies and removal of less-striking shoots may be warranted to prevent reversion.